Halloween was traditionally a kids’ holiday — but it’s been co-opted by grown-ups who have made haunted attractions scarier and scarier. 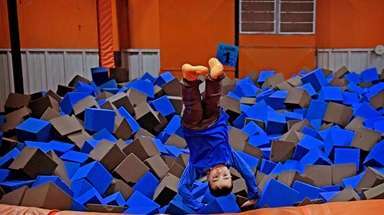 These locales realize that, and have created toned-down “not-so-scary” versions to let the littlest kids continue to have fun as well. Kids will walk through the wooded paths of the Quogue Wildlife Refuge’s Enchanted Forest and meet friendly characters along the way. Participants will meet various whimsical characters on the forest trails who will talk about the magical forest and its inhabitants. 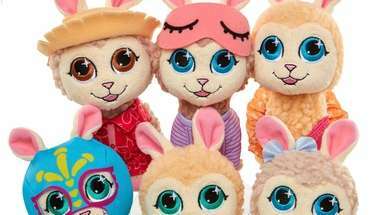 Some of the friendly faces include a Snowy Owl, Jemima Puddleduck, a singing snail and a bat. Plus, kids will have the chance to meet some the Refuge’s resident animals. After the walk, kids can participate in games, crafts and more family-friendly activities, such as a mini corn maze, a bounce house and face painting (included with admission). Kids and parents are encouraged to dress in costume. Reservations for time slots are required. More information: Enchanted Forest, Noon-2:30 p.m. on Oct. 27-28 and Nov. 3, Quoge Wildlife Refuge, 3 Old Country Road, Quogue; $10 per person (suggested kids aged 2-7 with adult); 631-653-4771; quoguewildliferefuge.org. 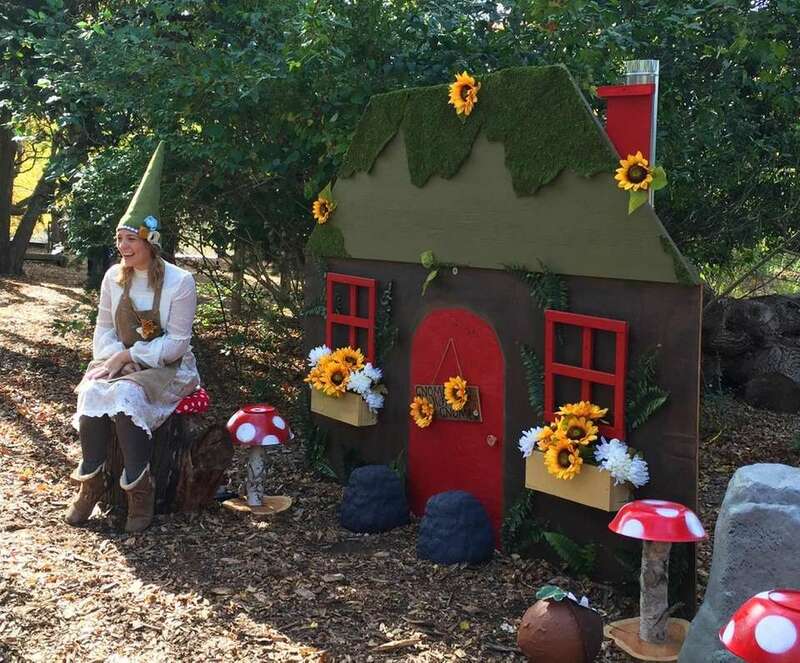 The 12-acre park at Clark Botanic Garden transforms into a Halloween-themed attraction. While the evening Spooky Walk with zombies and vampires may not be suitable for young children, the Not-So-Spooky Walk during the day takes families through the garden's tails, with pumkins, scarecrows and other festive, kid-friendly decorations. The event also includes face painting, pumpkin decorating and a Taekwondo presentation. 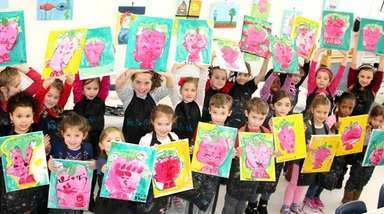 New this year, Mad Science Long Island will be demonstrating experiments through hands-on activities and more educational fun. For an additional fee, families can purchase tickets for carnival rides and games. More information: Not-So-Spooky Walk, Noon-4 p.m. on Oct. 28, Spooky Walk 6:30-9:30 p.m. Oct. 26-27 at Clark Bontanic Garden, 193 I.U. Willets Rd., Albertson; $5 per person (cash only); clarkbotanic.org. 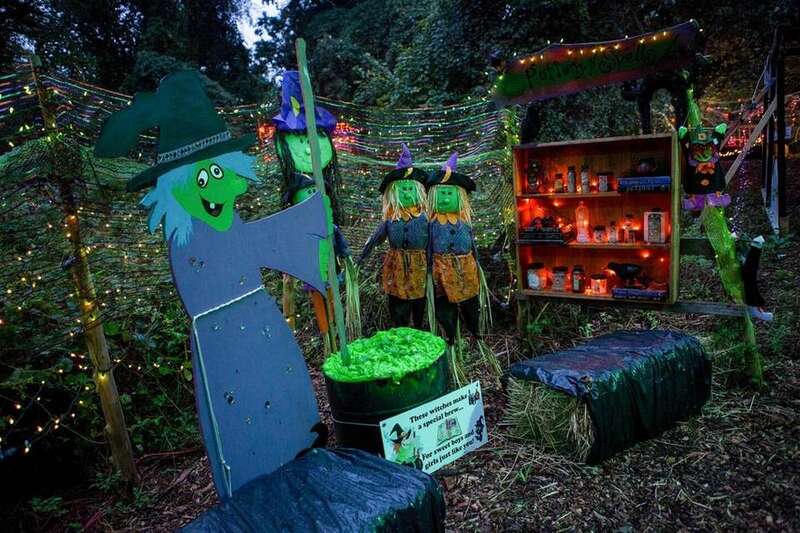 The Center of Science Teaching and Learning at Tanglewood Preserve offers a non-scary option of a lighted walk with friendly ghost and monster scenes, happy scarecrows, butterflies and a fun Halloween story. “New this year, a special guest will be doing fire juggling shows throughout Spooky Fest for families," said CSTL's director Ray Ann Havasy. There are also Halloween crafts, face painting and live animals, including owls, snakes, a blue-tongued skink lizard and more. Friendly costumed characters will be available, as well. That’s all in contrast to the center’s scarier options of Haunted Woods and Maze of Zombies. More information 6:30 to 9:30 p.m. Oct. 13, 19, 20, 21, 26, 27 and 28 at The Center for Science, Teaching and Learning at Tanglewood Preserve, 1450 Tanglewood Rd., Rockville Centre; $10 per person; 516-764-0045; cstl.org. The American Airpower Museum turns into the American Scarepower Museum for an afternoon of safe Halloween fun and trick-or-treating for families. Kids can join a scavanger hunt, take part in a costume contest (ages 12 and younger) and take a ride on the Travesty Tram, which is driven by a ghoul taking families on a short trip around the airport. There are also crafts, face painting and games with prizes. 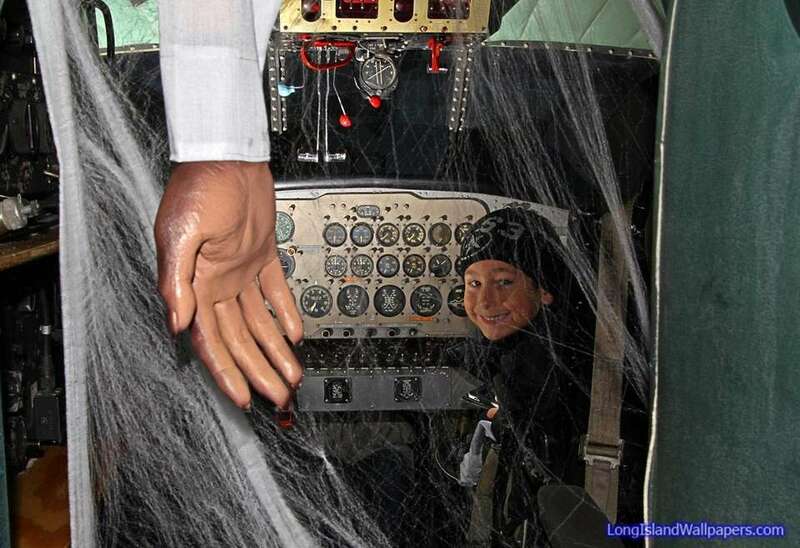 Kids can also tour the Haunted Bomber, which is decorated with cobwebs, spooky airplane pilots and more. "The museum adds a little more each season, so no two years are the same," said Larry Starr, museum manager. More information: 10 a.m. to 5 p.m. Oct. 28 at The American Airpower Museum, 1230 New Highway, Farmingdale; $12 adults, $10 seniors and veterans, $7 ages 5-12; americanairpowermuseum.com. 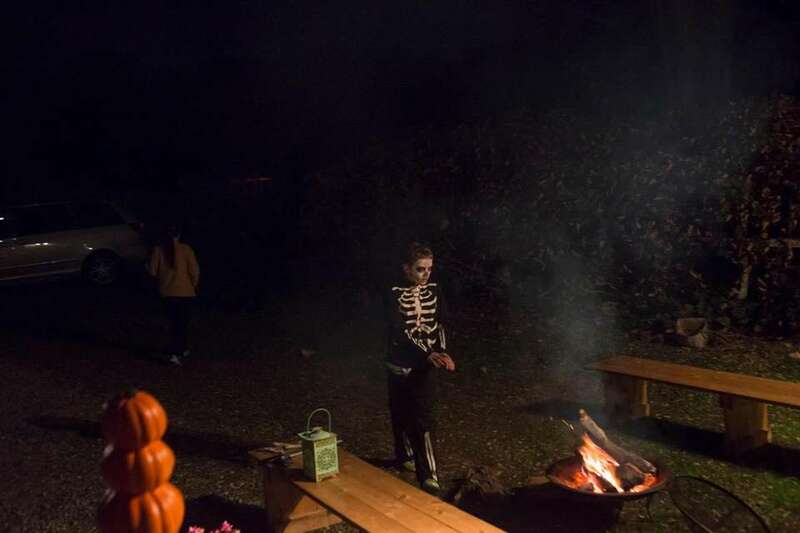 This season, Sweetbriar Nature Center's trails have been created with different age groups in mind for their special family-friendly events: The Enchanted Woodland Trail is for ages 4 to 8, the Trail To an Eerie Tale are for ages 8 and older and the Jack O'Lantern Trail lined with lit-up pumpkins is for kids of all ages. At Tales, Trails and Treats from 1-3:30 p.m. on Oct. 27, children ages 2-6 can trick-or-treat on a nature trail and meet costumed characters along the way. There will also be encounters with live animals, crafts and storytime. 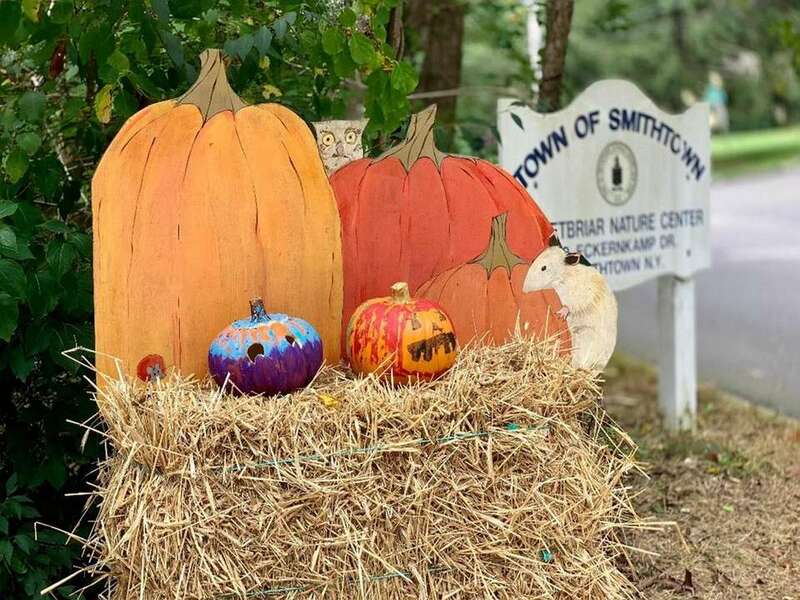 More information: Sweetbriar Nature Center, 62 Eckernkamp Drive, Smithtown; Spooktacular: $15 child, $5 adult; Tales, Trails and Treats $10 per child; sweetbriarnc.org. Visiting the Medford Haunted House for the daytime non-scare show is “kind of like an introduction to what a haunted house is,” said owner Jerry Groskopf. 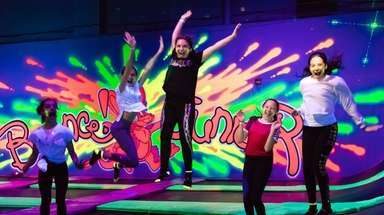 “We tell them it’s a behind-the-scenes tour for little VIPs.” The scary music is off, and there aren’t any actors on duty. The kids are given the challenge of finding Kermit the Frog, who is lost somewhere in the Haunted House, Groskopf said. Kids can also get their photo taken by the skeletons. “It’s all very low-keyed for the kids,” Groskopf said, ending about two hours before the nighttime hard-core scary stuff begins. More information: 1 to 4 p.m. Saturdays and Sundays through October (weather permitting) at Medford Haunted House, 79 Middle Island Blvd., Middle Island; $8 per person donation requested; 631-466-8096; nwsdy.li/mhh. More information: 5 p.m. Oct. 27 and 28 at Manor Farm, 210 Manor Rd., Huntington; $7 per child, free accompanying adults; 631-885-3491; manorfarmhauntedtrailnights.com. 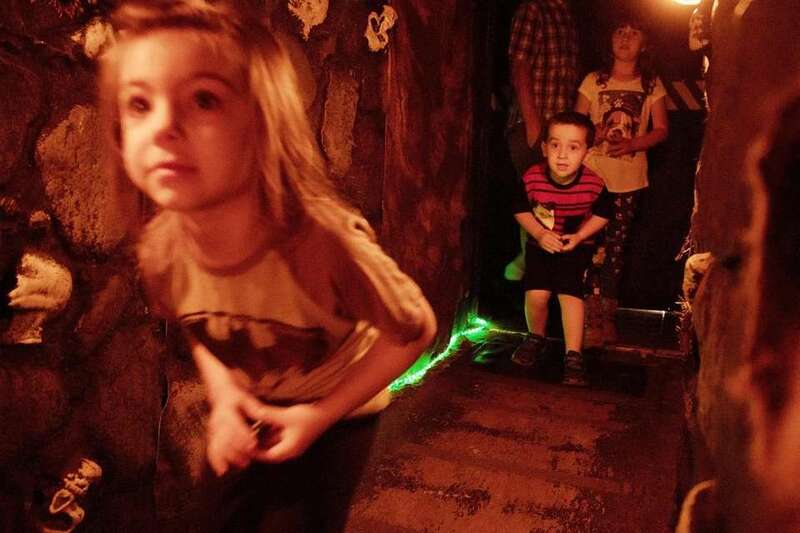 A guide takes families on a kid-friendly walk through Gateway’s Haunted Playhouse. “You get to walk through the same path as the night haunted house, but there’s no one jumping out at you,” said Laurie Cole, box office manager. "It doesn’t have to be for children. It can be for adults or anyone who does not want to be scared.” Strollers and infants aren’t allowed; the tour is recommended for children ages 3 and older, and all children must be accompanied by an adult. Admission price also includes a pumpkin bounce house, face painting, balloon creations and a hay-bale maze. Refreshments are available for sale. More information: Noon to 4 p.m. every Saturday and Sunday in October at Gateway Playhouse, 215 South Country Rd., Bellport; $15 per person; 631-286-1133; thegateway.org. Bayville’s attractions geared to younger kids include the Halloween Express Train Ride around the park, the Pumpkin Bounce, the Pumpkin Patch, where kids can choose and purchase a pumpkin, Halloween arts and crafts, witch and pirate characters for photo opportunities, spooky storytelling and hermit crab races. Admission also includes Uncle Needle’s Fun House and Mirror Maze, as well as the Temple of Terror, both without the usual live actors. 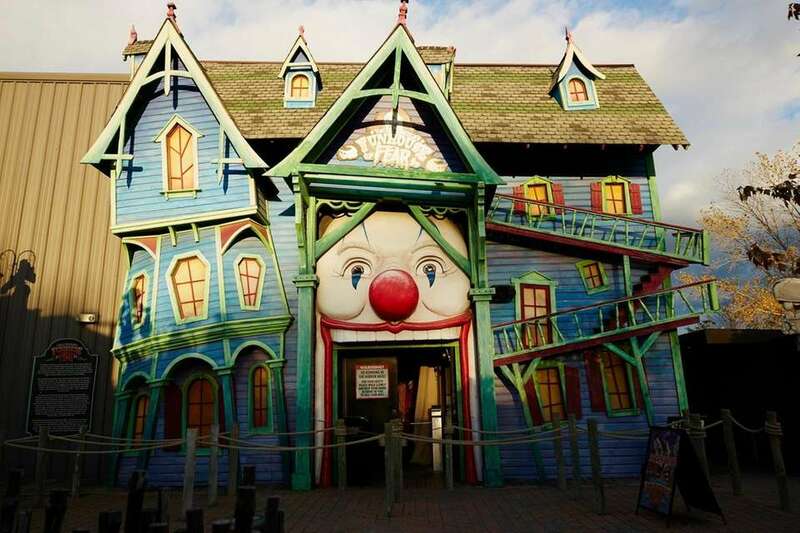 These attractions are separate from Bayville’s six scarier nighttime options, which include, for example, Bloodworth Haunted Mansion, Curse of the Zombie Pirates and Uncle Needle’s Fun House with live actors. 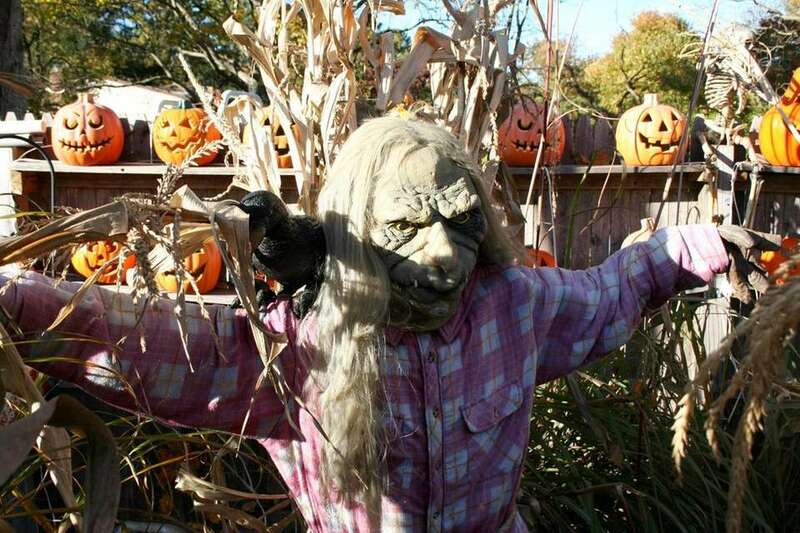 More information: 11 a.m. to 6 p.m. Saturdays and Sundays through Nov. 4 at Bayville Scream Park, 8 Bayville Ave., Bayville; $24.75 per person; $31.75 includes Halloween themed attractions, as well as unlimited Bayville Adventure Park rides; 516-624-4678; bayvillescreampark.com. 25 spooktacular things for families to do this fall on LIPumpkins and apples. Scarecrows and hayrides. Corn mazes and haunted houses. It can only mean one thing -- fall fun is awaiting Long Island families. 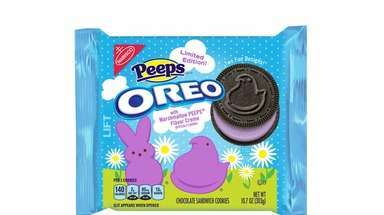 Fave Halloween candy by state: NY's may surprise youSee what candy was crowned No. 1 in your state. Black Panther, more top Halloween costumes for kidsHere's a roundup of costumes based on characters and people popular with kids for Halloween 2018.